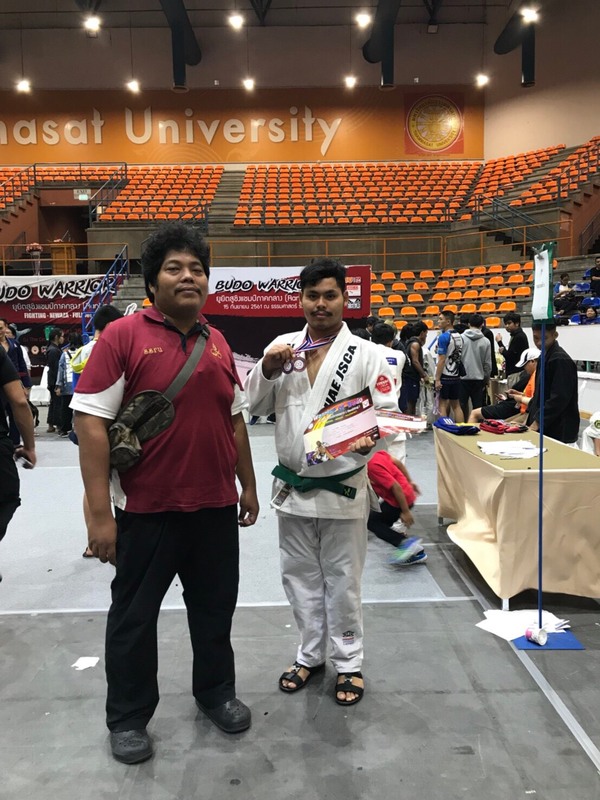 Mr. Sakol Saejung, a sophomore in the political science program, received two silver medals and Mr. Tawatchai Chantorndanu received a silver medal in "newaza" and a bronze..
Home > News > Student Affairs NEWS > Mr. Sakol Saejung, a sophomore in the political science program, received two silver medals and Mr. Tawatchai Chantorndanu received a silver medal in "newaza" and a bronze..
On September 19, 2018, Mr. Sakol Saejung, a sophomore in the political science program, received two silver medals for "fighting" and "newaza." 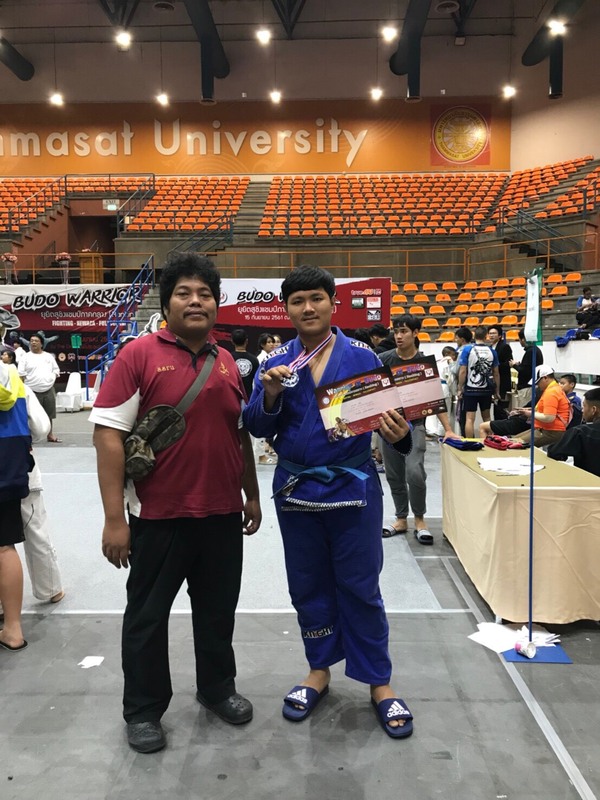 In addition, Mr. Tawatchai Chantorndanu received a silver medal in "newaza" and a bronze in "fighting." 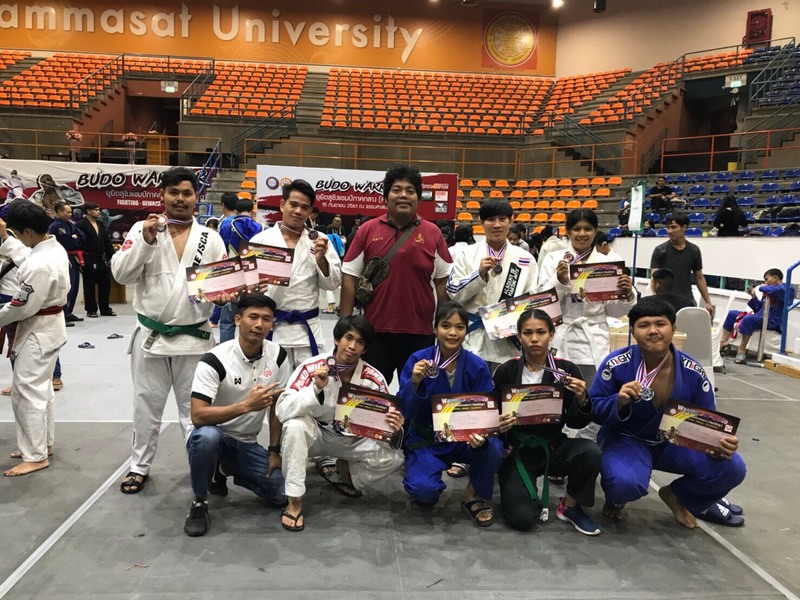 Both students competed in the Jiu-jitsu "Warrior of Budo" Central Region Championship 2018 at Thammasat Rangsit Convention Center.